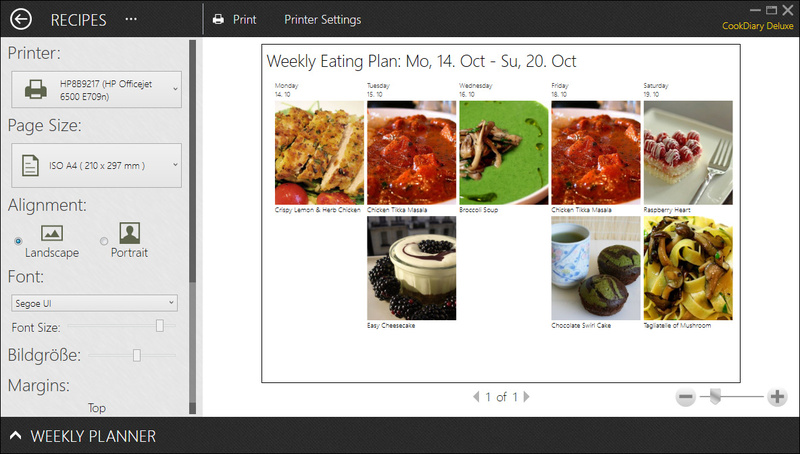 You can generate your individual eating plan with the menu planner. It also helps you in keeping track of your meals so you can find the “tasty dish the other day” again with ease. This meal plan will look great on your fridge and every member of the family will know what to look forward to. 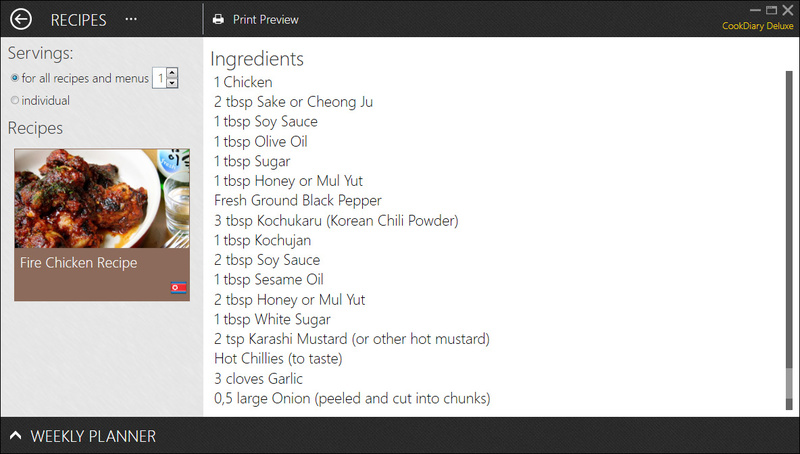 You can prepare a grocery list containing all needed ingredients from every recipe or menu. This shopping list can be printed to accompany you on your next shopping. If you want to plan your groceries for a whole week you can do that too. 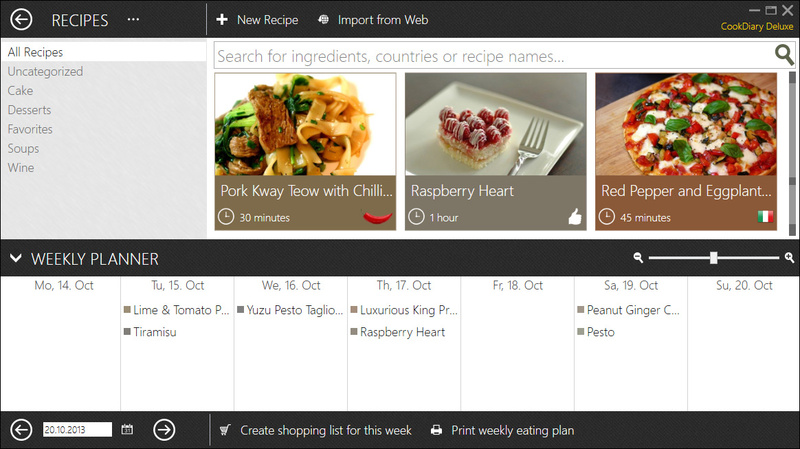 With one click CookDiary creates your weekly grocery list for your personal meal plan and calculates all your required ingredients.